To check the information concerning Residence Dimora De Mauro, click here. To check the information concerning the Hotel Royal, click here. Take the ALIBUS shuttle from the airport to get to the city centre. One shuttle every 25 minutes. You can buy tickets for 4 € at the airport, on board of the shuttle (paying by credit card or cash money), and on board in Ryanair flights. Take off at the station “Stesicoro”. 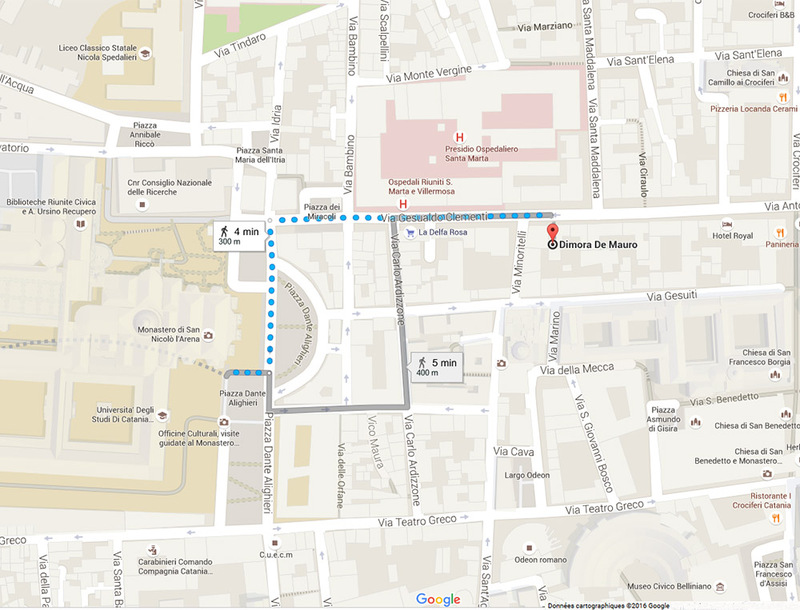 Walk towards Residence Dimora De Mauro (approximately 9 minutes). See the itinerary below (click on the picture to enlarge it). 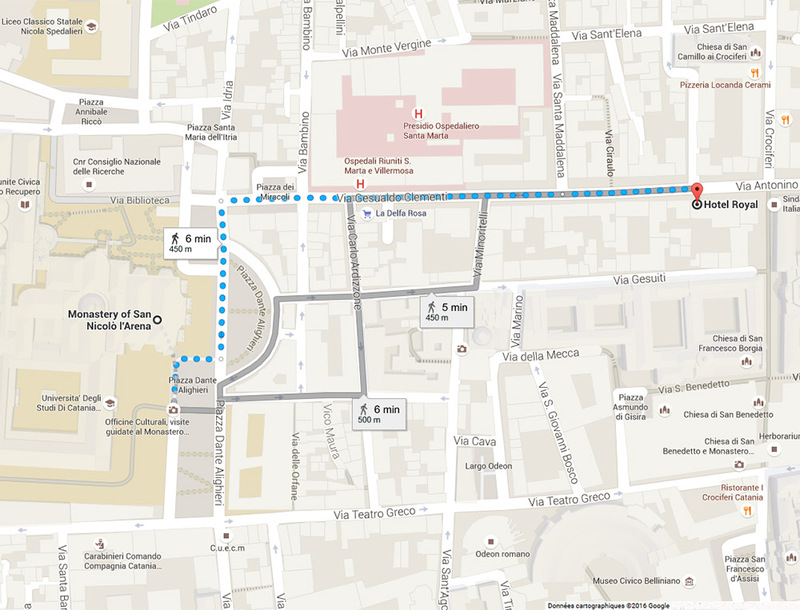 Dimora De Mauro is located Via Gesualdo Clementi (5). Once there, you must dial 100 on the intercom. 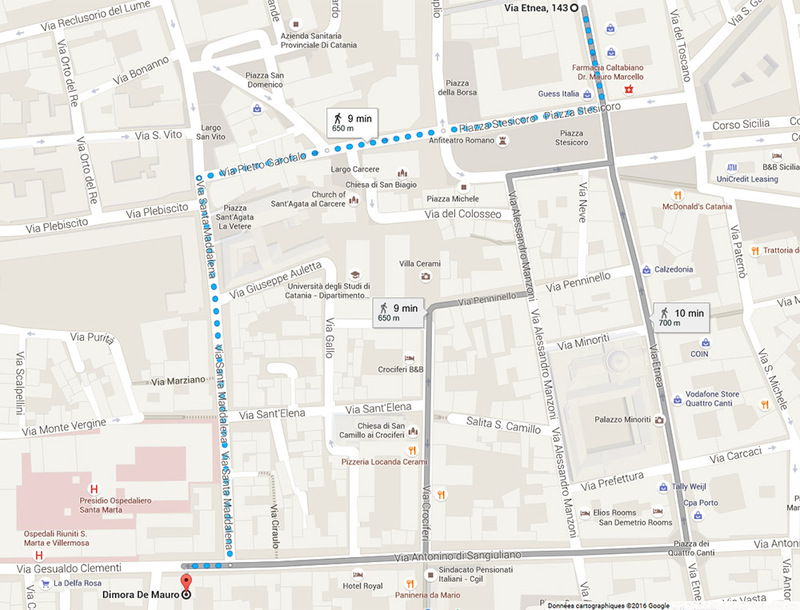 Walk towards the Hotel Royal (approximately 8 minutes). See the itinerary below (click on the picture to enlarge it). 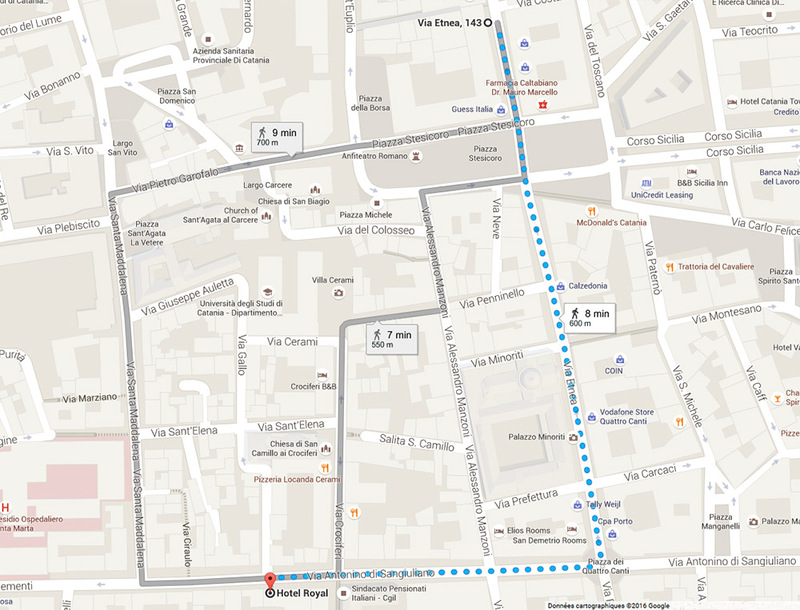 The Royal Hotel is located Via Antonino di Sangiuliano (337).